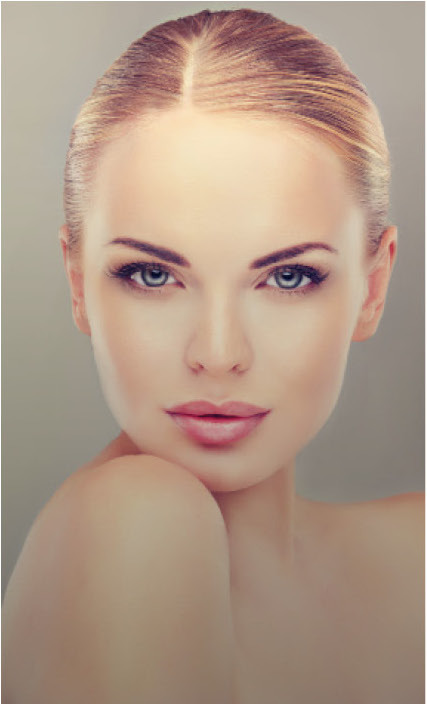 Our laser skin rejuvenation treatments can give you refreshed, brighter, and younger looking skin with just a few treatments! These resurfacing treatments can improve your skin’s tone and texture with long-lasting results. Our services are on the cutting edge of non-invasive treatments, using laser methods that take little time and require little or no downtime. Laser treatments help stimulate the skin’s natural healing ability. The skin repairs itself by producing more natural collagen and healthy cells, giving the face a more youthful look. A fractional laser rejuvenation breaks down the skin tissue with micro beams of energy that penetrate beyond the surface. The body’s natural healing process kicks in, producing more collagen, a natural filler. The healthy collagen production improves the look, texture, and feel of the skin, reducing the look of fine lines and wrinkles, stretch marks and scars. Treatments last from 15-30 minutes at a time. As laser skin resurfacing is non-invasive and does not involve injecting any substance into the skin, there are typically no side-effects. Patients may experience minor discomfort after their procedure, similar to a mild sunburn. Sun should be avoided for several days or weeks after the procedure, to allow the skin time to fully heal. Typically, resurfacing has very few if any side effects. You will be able to return to normal activities right away following your procedure, but if you experience minor discomfort, you may wish to avoid going outdoors for a day or two, to allow your skin to fully recover.